I have never met a coach who didn’t want all their athletes to be the best they can be. I have never met a parent who didn’t want their child to be the best they can be. So why do we have so many conflicts between coaches and parents? The simple answer is that each sees a different path. Because every good coach sees the importance of long term progressive development and views their young swimmers as long term endeavors. Coaches should take a patient and a progressive approach to the development of their young swimmers. Coaches want swimmers in the program through their teen years and into their 20’s when they are physically mature and have the greatest potential for life changing participation. Ask an adult who dropped out of swimming by age 12 or 13 what they remember from the sport and chances are, they remember very little. Now ask an adult who swam through college what they remember and chances are they will tell you it was one of the most important life changing experiences of their life. So how do we keep a swimmer in the sport that long? Many parents also will echo the importance of long term development. However, they just want to speed it up. There is a sometimes verbalized refrain, “The better he is now, then the better he will be in the future.” This is not true in most cases. Parents, who are otherwise well-meaning, sometimes push their budding stars to excel too early at almost any cost. And that cost is frequently failing to finish the long term. Parents should take note: A 2001 study by the National Alliance for Youth Sports found that 70 percent of American kids who sign up for sports quit by the time they were 13. The reason? They said it wasn't fun anymore. A study done by the ASCA staff years ago and repeated several times since shows that only 17 to 20% of the aged 9-10 swimmers ranked in the top 16 are still swimming at the national level 5 years later. USA Swimming also did a study using the all time Top 100 list and found that only 11% of the top ranked 10 and unders are still ranked as 17-18 year olds. What is the primary reason we lose swimmers? The number one reason according to a survey done a few years ago is simply that swimming stopped being fun. And what are the elements of fun? Friends, caring coaches, and absence of undue pressure from mom and dad to achieve their goals for the child. ...take away their opportunity to be the leader of their peers. Good coaches build core groups of swimmers around leaders and move those core groups up through the program very nearly together. ...take the edge off of that wonderful, playful, crazy style of an 8 year old – because now, they are with older swimmers who usually do not share the same traits as an 8 year old. ...place tremendous pressure on the swimmer because now it’s not about having fun and being with friends, now it is about the serious business of work and achieving the goals mom and dad are setting for the child. ...change the progression and move the swimmer to a program which they may not be able to handle physically, developmentally, or mentally. Dryland training for an 8 and under is vastly different than for an 11-12 year old. The amount of fundamental kicking is less for an older age group swimmer. 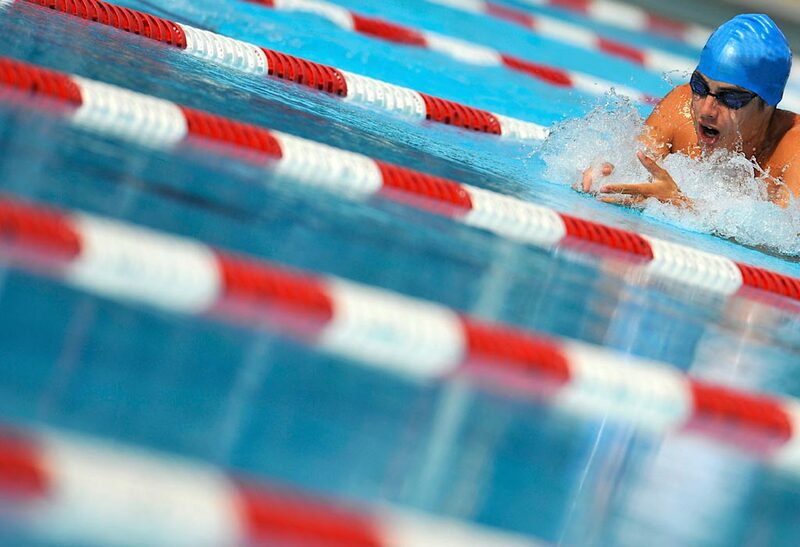 The amount of stroke work is also less for an older age group swimmer. Skip a proper progression of these and you risk developing an incomplete athlete. ...provide less time for games and relays. ...ignore the fact that the 8 year old may be better than the other 8 and unders because he is simply older biologically and developmentally than his peers and in all likelihood his peers will catch up to him at some point and many will pass on by. When that happens it is very difficult for the swimmer to understand why they aren’t so “good” anymore and lose interest in the sport. ...identify the 8 year old as a “talent” with tremendous pressure to live up to it. Some parents even identify their young swimmers as “our talented little butterflyer” or backstroker or breaststroker, etc. The problem is, as swimmers grow and body proportions change, they frequently lose their ability to be very good in one specific stroke. If their identity is attached to a stroke and they lose their stroke, then they lose their identity. Good coaches don’t create specialized age group swimmers and try very hard to create well rounded IM swimmers. When parents push a certain stroke upon a child, it adds to the stress. ...place the child in a socially difficult situation. Chatter among swimmers between sets and before and after practice – the so called “locker room talk” -- may be very inappropriate for an 8 year old to listen to. ...change the focus of the coach as the coach now has to take special care for an under-age swimmer in the group who might not make all the intervals or understand all the instructions. Neither parents, nor coaches, can MAKE a child be a great swimmer. We can only provide the environment with the proper emotional support (parents) and challenges (coaching) in a well crafted progressive program aimed at the long term development of the child (coaching). It looks like I have reduced the role of the parent to that of providing emotional support – correct! That’s what you can uniquely provide and that is what is most needed from you. Next time you come to practice, bring an extra towel for your child, and bring a book for yourself. Allow your child to get lost in the fun of a practice with their buddies while you simply watch them for the sheer joy of it without worries about their swimming future... or, just get lost in your book.